Winterhalter this morning outlined its vision for a world in which all warewashers are linked to the internet and offer a real-time overview of performance and status. UK management, including managing director Stephen Kinkead and sales director Andy Salter, took to the stage of a private film theatre inside London’s swanky Soho Hotel this morning to lay out the company’s vision and announce its ‘Connected Wash’ offering in front of partners and customers. 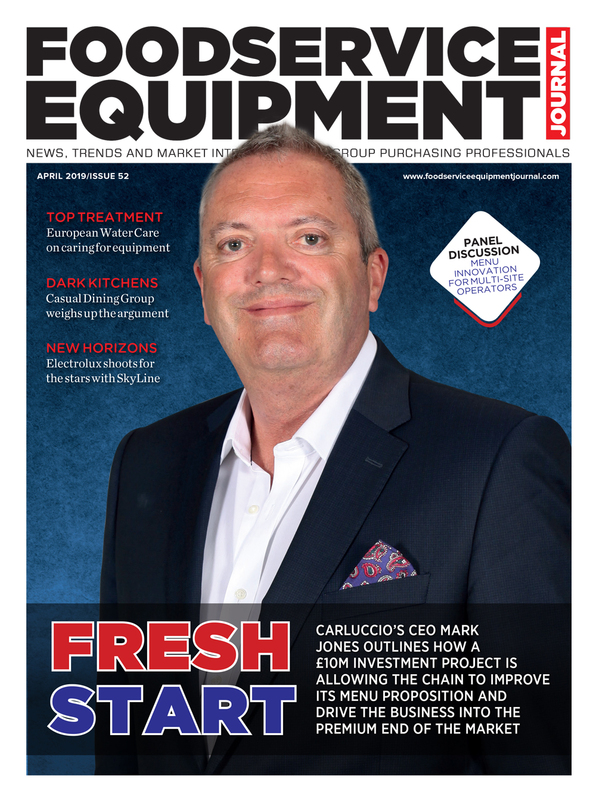 Describing it as a “new era in industrial warewashing and a new chapter in our business”, Mr Kinkead explained how Winterhalter warewashers could now be networked to provide more continuity and efficiency in the kitchen – or in multiple kitchens – anywhere in the world. 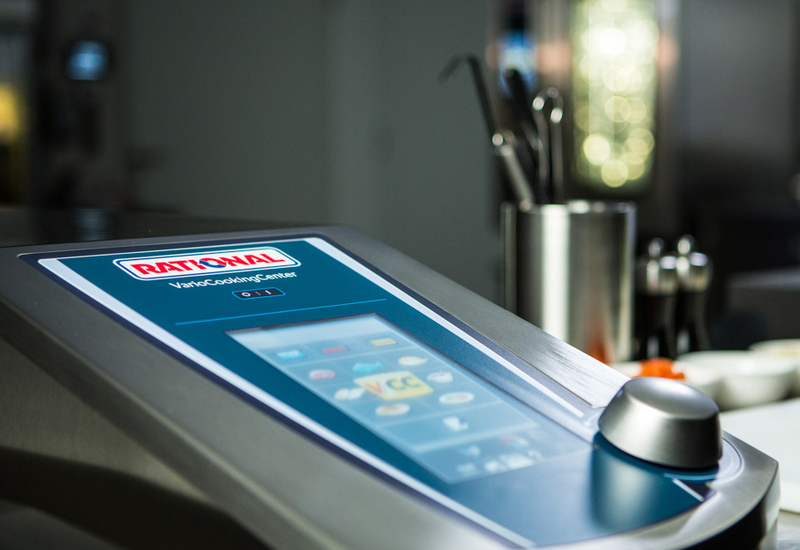 Initially launched as a service for its UC Series of undercounter machines, ‘Connected Wash’ warewashers are networked via LAN or W-LAN and send machine data to a server, virtually in real time. 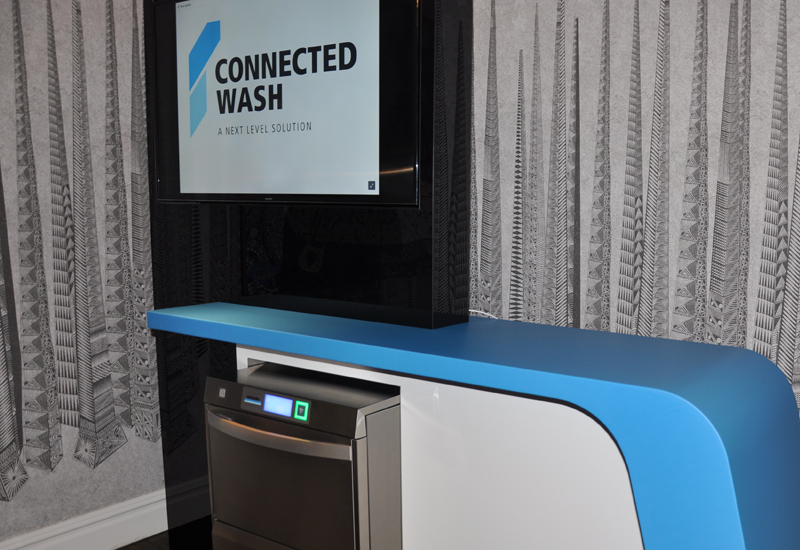 Using a computer, tablet or smartphone, customers can monitor machine functions around the clock, via the Connected Wash app, from anywhere in the world. 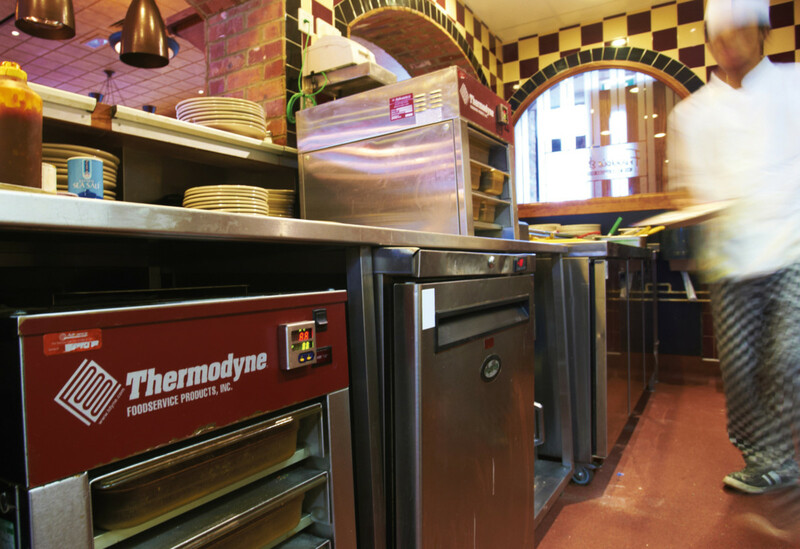 The service mirrors that seen in other parts of the catering equipment market, such as temperature monitoring and task management, where wireless technology is deployed to give operators a live overview of schedules and instant notifications of any issues. 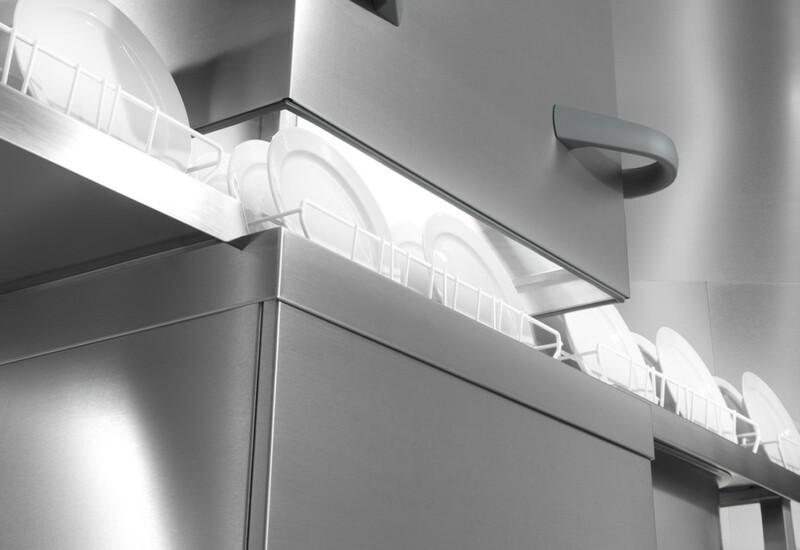 With Winterhalter’s system, the data is also sent centrally for analysis and can, if necessary, be converted into recommended actions for the customer. For example, if a machine reports a critical error, the system instantly sends a push notification to the nominated person’s smartphone or tablet. 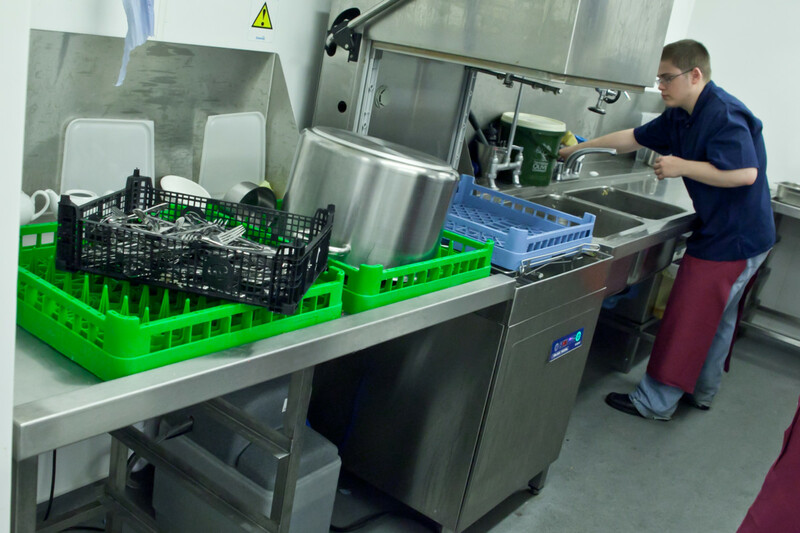 The speed of the system means customers can react quickly to warewash issues, minimising machine disruptions and increasing operational efficiency. 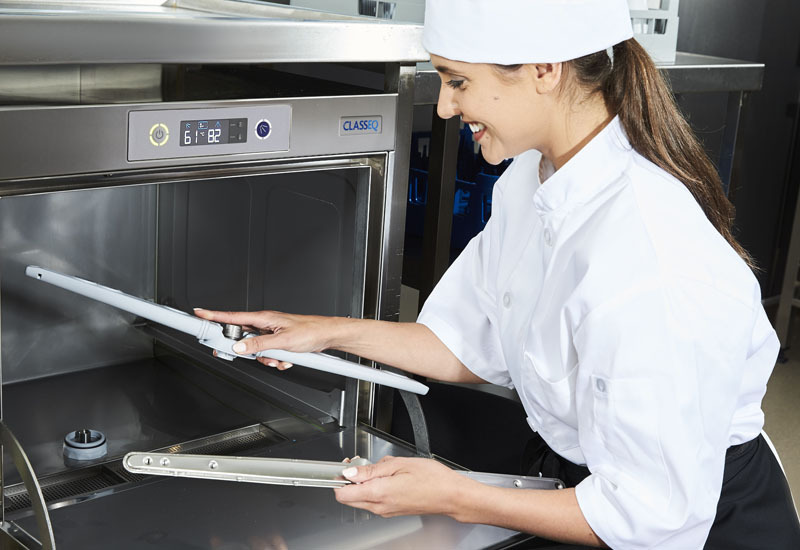 Winterhalter product bosses carried out a live demonstration on stage in which they used Skype to alert a customer in Sydney that its machine was out of detergent. The detergent canister was immediately replenished and the ‘error’ message automatically changed to a green tick on the dashboard. He added that Connected Wash also gives the customer cost-optimisation tips. 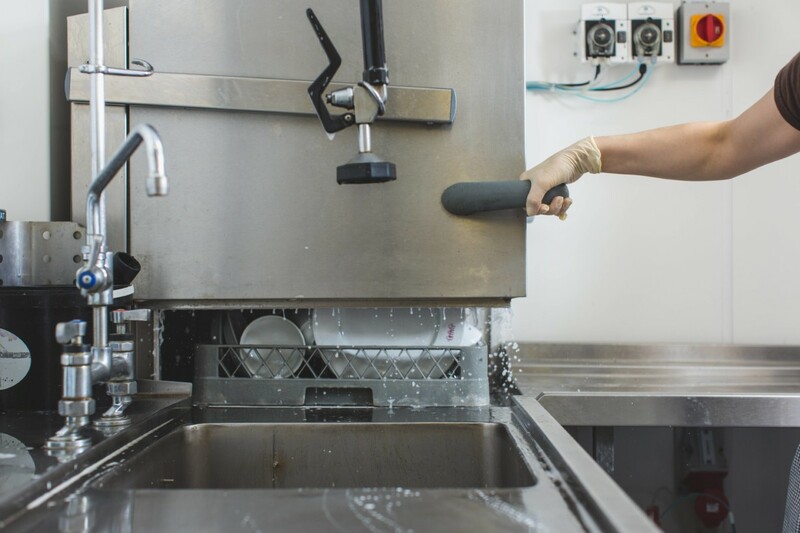 For example, often staff will turn on the machine first thing, but the timespan between start-up and the first wash cycle may be overlong, causing unnecessary costs. The system will highlight this. 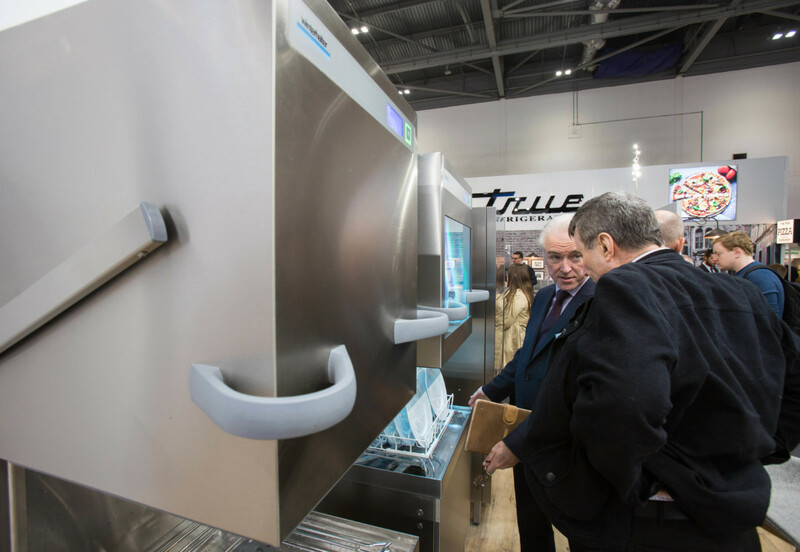 Guests were also treated to a video in which CEO Ralph Winterhalter revealed that Winterhalter is also launching its first ever ‘Pay Per Wash’ offerings, allowing operators to have a Winterhalter warewasher “without investment or any risk”. 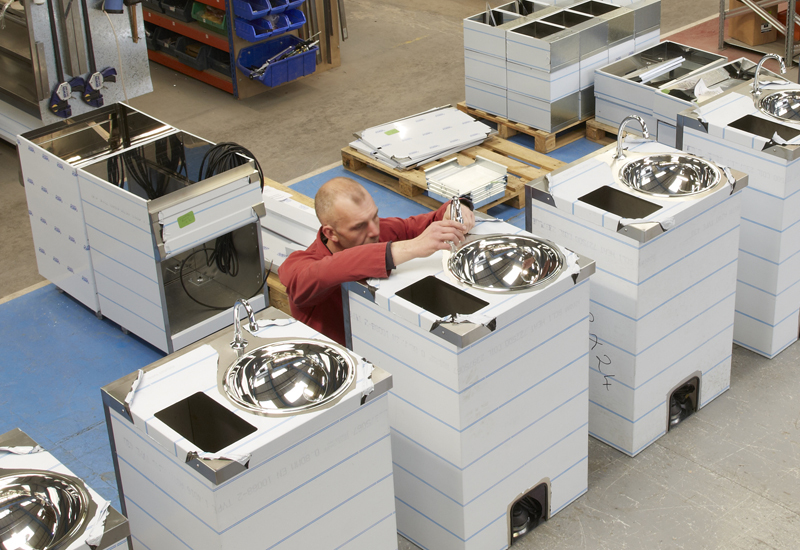 The move eliminates acquisition costs and means customers are only charged when the warewasher is actually washing. Customers select a desired number of wash cycles and prepay for them, using a credit card. The wash codes they buy are automatically entered into the machine and they can start washing straight away. There is a fixed price per wash cycle, and everything is included in the package: warewasher, racks, water treatment and chemicals. 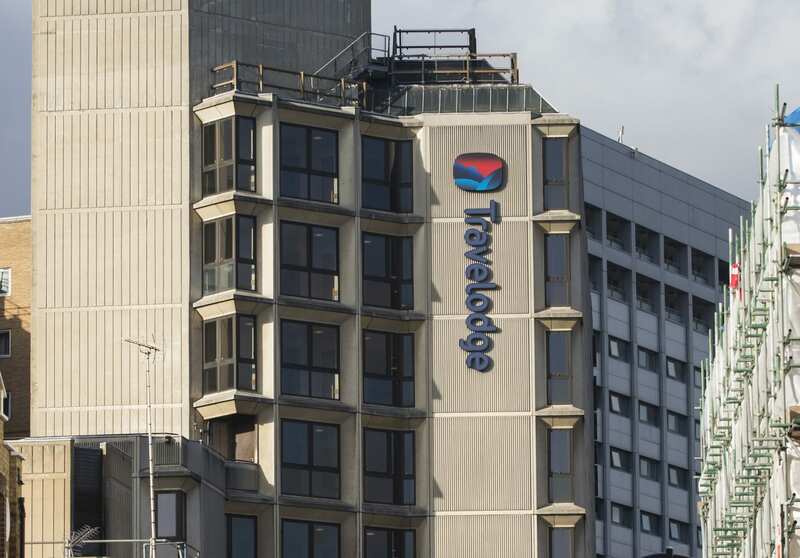 Winterhalter believes that Pay Per Wash will appeal to a variety of sectors of the market, especially with seasonal businesses, who will only pay for warewashing when they are earning money. Pay Per Wash contracts have no minimum term and can be cancelled at short notice, he said.